The mid-life facelift of the Ford Figo will see this compact hatchback get a revised exterior design along with a significant overhaul of its dashboard layout in sync with what we saw in the 2018 update for the Ford Aspire. The facelift for the Ford Figo hatchback has been long overdue. There were speculations of the same making its debut in India sometime during the festive season last year. However, Ford instead chose to update the Aspire compact sedan and hence pushing the debut of the mid-life update for the Figo for 2019. The Ford Figo has already undergone its mid-life update in the international markets. With that, we are already aware of the changes that it is going to get when the same makes its debut in India as well. Recent buzz in the Motown is that the launch of the Ford Figo facelift is likely to happen sometime during the month of March this year. Also Read: Are you the Ford EcoSport replacement for 2020? This hatchback will continue to retain its original silhouette. However, the design for the front and the rear bumper will feature a complete overhaul. Leaving aside a few other cosmetic updates, the rest of the profile will remain the same as before. Rest of the changes will be seen inside the cabin. Here the layout of the central console will be changed altogether. In the top-end variants, the integrated 2-din audio system will make way for a 6.5-inch floating touchscreen infotainment unit. In addition to this, the central tunnel will also feature some minor revisions. Apart from these aesthetic changes, the Ford Figo facelift is going to get an all-new 1.2-litre petrol engine. This engine is going to replace the existing 1.2-litre engine. The new motor is capable of churning out 94 BHP of power along with 120 Nm of peak torque. 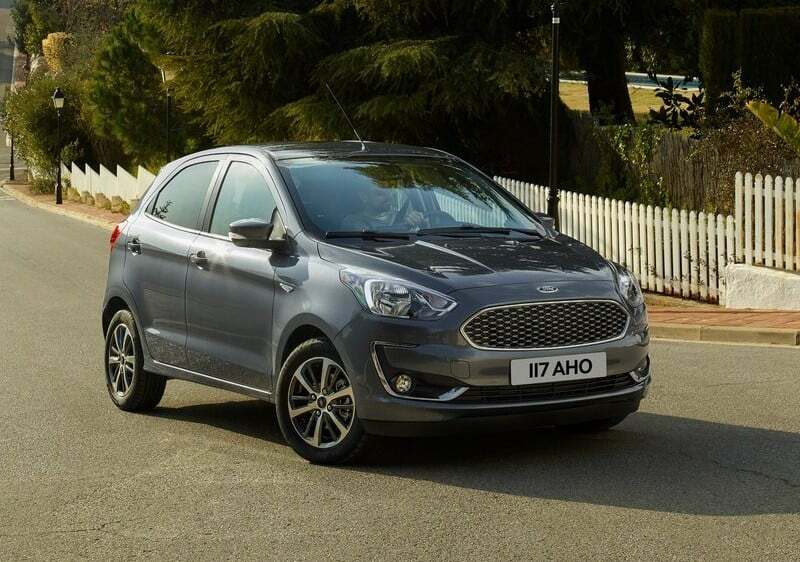 Just like the Aspire, the 2019 Ford Figo is likely to continue with the 1.5-litre diesel engine which is good for 99 BHP along with 215 Nm of peak torque. The new Figo is going to get a 5-speed manual as standard across the range. Wether Ford decided to continue with the 1.5-litre petrol engine with the 6-speed automatic gearbox remains to be seen. Ford Figo Facelift launching in early 2019 – What To Expect?